New York Fashion week is normally held every February and September every year and it basically lasts 7-9 days. It consists of a series of events that involve international fashion collections showcasing their collections to buyers, general public, and the press. It’s is one of the major 4 fashion weeks in the entire world. Ive got a few fashion tips from it and ill share with you guys. Color blocking is a thing now guys! These cool outfits can be worn in parties, events and it definitively makes someone look outstanding! The cool color patterns make you look brighter and cute. Men can also go out of the norm and try something different. Ankara definitely makes men look so good, looking like a whole meal. These outfits definitely caught my eye and I couldn’t wait to share with you guys! I would definitely want my man to try this out. Guys try it, for the culture! 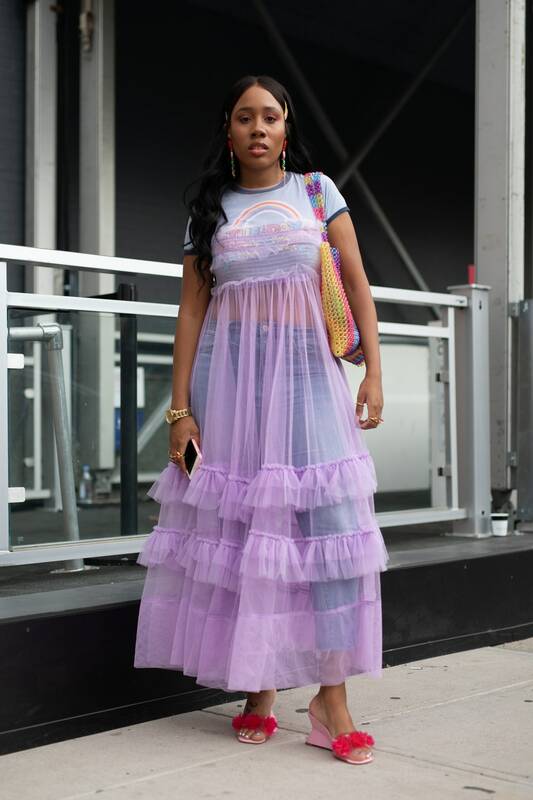 The best way to dress a top/jeans or top/shorts is to just wear a bright sheer dress over them. This enhances the look. What style will you be trying? Tell us below. Mama Oliech Restaurant On Fire?! Pics Here!